Ron and Maggie Tear Photography: Rickshaw. 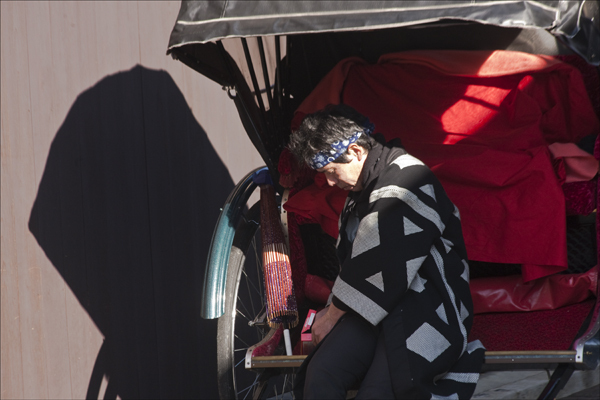 Still a traditional mode of transport here in Takayama. Beautifully kept and coloured. The costume attracted me against that red fabric.